Thanks to our generous friends at Transmission Films, we're giving our members the chance to WIN an in-season double pass to BEAUTIFUL BOY starring Steve Carell and Timothée Chalamet. We have 10 double passes for Adelaide, Sydney, Melbourne, Brisbane, Perth and Canberra up for grabs - that's 60 double passes in total! BEAUTIFUL BOY is a deeply moving portrait of a family's unwavering love and commitment to each other in the face of their son's addiction and his attempts at recovery. Based on two memoirs, one from acclaimed journalist David Sheff and one from his son, Nic Sheff. 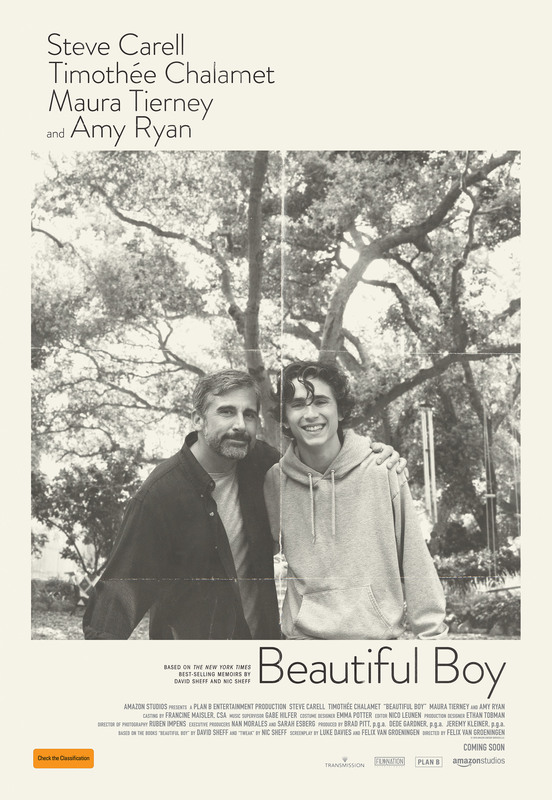 To go into the draw, all you have to do is send an email titled 'BEAUTIFUL BOY' to competitions@weekendnotes.com and let us know in 25 words or less why you want to see this acclaimed drama. Please make sure to include your full name and mailing address so we can send you your prize! 60 lucky winners will be drawn on 22 October 2018.